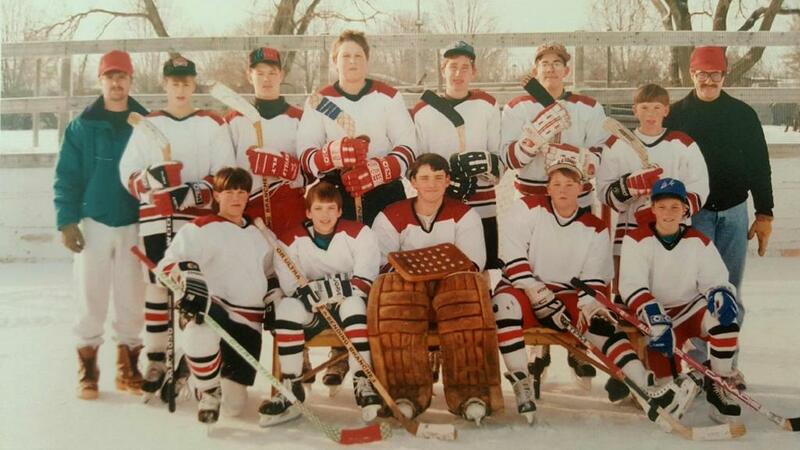 The Redwood Area Hockey Association has its roots in the mid-1980s when a small group of dedicated adults and kids took the first steps into youth hockey in Redwood Falls. As interest grew, volunteers began constructing an outdoor skating facility at Tyson Park. The first dasher boards were a used set purchased from Worthington and the team rooms were small shacks. By 1990, the Association had grown to approximately 35 skaters. In 1993, a used ice resurfacing machine was purchased from Park Rapids. New boards, team rooms, and a maintenance building were constructed in 1994. That same year marked the date of the Association’s first victory; a 9­-2 Junior Gold victory over Paynesville on January 8. A new concession stand was purchased in 1995. The Association’s membership had grown to over 70 kids, ages 5-18. In 1999, the Association’s dream of an indoor ice facility became a reality when voters in Redwood Falls approved a referendum for a new community center which included an indoor ice facility. In September 2000, the Redwood Area Hockey Association moved into their new home, the Redwood Area Community Center Civic Arena, located at 901 East Cook Street, Redwood Falls, MN. During the 2005-2006 season, Redwood Valley High School Hockey began in partnership with the Minnesota State High School League. Currently, Redwood Valley is a cooperative sponsorship agreement in the activities of boys hockey between Redwood Area, BOLD, Cedar Mountain, & Springfield High Schools. As of the 2016-17 registrations, the Association's membership surpassed 100 players, ages 4-18.